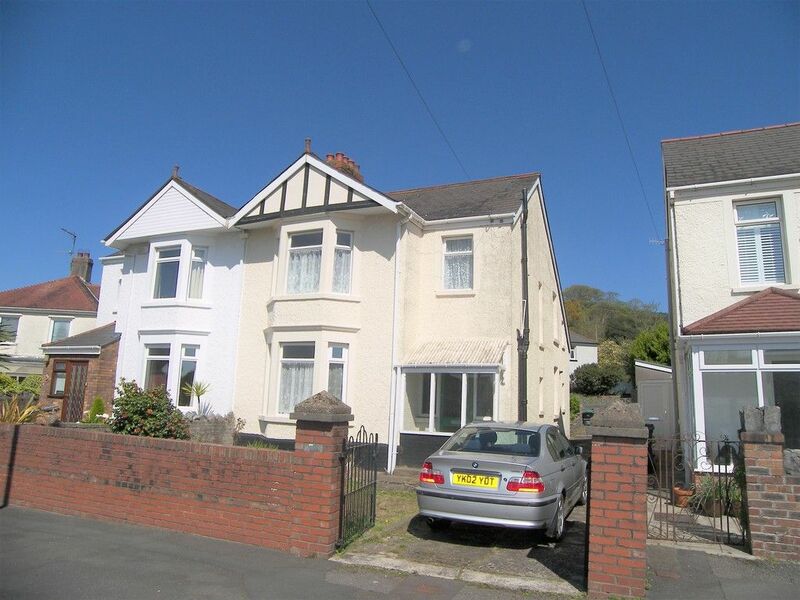 We are pleased to offer a deceptively spacious 3 bedroom semi-detached property located in the much sought after Graig Parc, Neath Abbey. Briefly consisting of entrance porch with W.C, internal hallway, 3 reception rooms, kitchen/diner, 3 bedrooms, bathroom, large enclosed rear garden and detached garage. The property really does need to be viewed for its style, size and location to be fully appreciated. ENTRANCE PORCH Entrance via Upvc front door, laminate flooring, radiator, 2 x double glazed window to side, access to W.C, internal door to main hallway. WC Tiled flooring, tiled walls, W.C, hand basin, radiator, double glazed window to rear. HALLWAY Laminate flooring, radiator, stairway to first floor with fitted carpet, access to ground floor living. LOUNGE 12&apos; 8" x 11&apos; 0" (3.86m x 3.35m) Fitted carpet, radiator, double glazed bay window to front. LIVING ROOM 13&apos; 1" x 11&apos; 0" (3.99m x 3.35m) Fitted carpet, radiator, double glazed window to front. DINING ROOM 15&apos; 6" x 7&apos; 1" (4.72m x 2.16m) Laminate flooring, radiator, window through to kitchen.. KITCHEN 16&apos; 4" x 11&apos; 2" (4.98m x 3.4m) Tiled flooring, fitted wall and base units, integral double oven, hob and extractor unit, dishwasher, tiled splash back, double glazed window to rear, French doors to rear. LANDING Fitted carpet, Double glazed window to side, radiator, access to first floor rooms.. BEDROOM 12&apos; 11" x 9&apos; 0" (3.94m x 2.74m) Fitted carpet, radiator, double glazed bay window to front, fitted wardrobe. BEDROOM 13&apos; 1" x 11&apos; 5" (3.99m x 3.48m) Fitted carpet, radiator, double glazed window to front, fitted wardrobe. BEDROOM 11&apos; 6" x 7&apos; 6" (3.51m x 2.29m) Fitted carpet, radiator, double glazed window to rear. BATHROOM Tiled flooring, tiled walls, bath with over shower, W.C, hand basin, towel warmer, cupboard housing combination boiler.